Question. Our house is free and clear. We have a $100,000 home equity line of credit, and the interest rate is somewhere in the neighborhood of 7 percent. We itemize tax deductions and are in a high federal tax rate, and hoping that any new tax laws will reduce our taxes. My question concerns using the home equity loan for investment. We are considering using $50,000 of the home equity line of credit and investing it in a growth stock for the next five years. Our accountant/tax advisor, however, is strongly in favor of having an unencumbered house especially as we are close to retirement. Answer. It is my strong belief that homeowners -- of any age -- should make use of the equity they have gained from their real estate investments. As this column has suggested in the past, there are too many retired persons who are "house rich and cash poor." Hopefully, your house will appreciate in the future, and this appreciation will continue whether you have equity or not in the home. Thus, for all practical purposes, that equity is "dead equity." There are, however, a number of parts to your question. First, should you use the equity in your home for investment purposes? My answer is a qualified yes. Are you prepared to lose your investment if the stock market tumbles? Growth stocks may grow -- or they may not. If you are in any way concerned about risk, you should consider investing in government insured programs or tax free bonds. Of course, the higher rate of potential return will also carry a higher risk. I am sure that readers will ask: why borrow money at 4 or 5 percent only to invest it in a security which has a 2 or 3 percent rate of return? Here, you have to do the numbers, and also look to your own future situation. At first blush, it makes no sense to pay more interest than you are receiving from your investment -- especially if that investment has no (or little) growth capacity. But there is one important factor that must be considered, namely the liquidity of your investments. If you find at a later date that you need money for emergency purposes, if may be difficult -- if not impossible -- to tap into the equity of your home when you are retired and no longer employed. The investments you are considering -- whether stocks, mutual funds, or government securities -- do have immediate liquidity. Second. If you decide to invest the equity in your home, what is the best route to take? You have indicated that your current home equity line of credit is around 7 percent. This seems rather high in today's market. More importantly, most home equity loans fluctuate in rate; the rate of interest is pegged to some index -- such as "prime." If the prime rate rises or falls, so will the interest rate on your home equity loan. Instead of using your home equity, you may want to consider refinancing your home, while interest rates are relatively low and stable. You can probably get a fixed 30 year rate for around 4 percent. While I understand you may be reluctant to borrow for such a long time -- especially when faced with retirement -- the alternative is to keep the equity in your home. How will you make the monthly mortgage payments when you are retired? If you do not have other sources of income -- such as a pension plan -- you still have the liquidity of your investments that should be able to carry you for a long period of time. 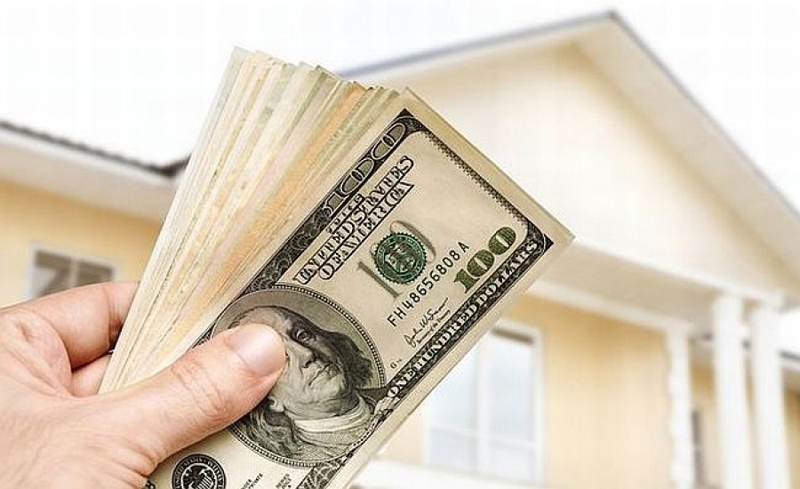 Additionally, if you decide to refinance your home, although the refinance funds will pay off your home equity loan, nevertheless, you definitely should keep the home equity loan available. As you know, a home equity loan is a line of credit; you only pay interest on the amount of the money you have actually borrowed. If you obtain a refinance mortgage, make sure that you can also keep the existing (or obtain a new) home equity loan. There are some logistical legal issues that your attorney can handle to make these arrangements. Third. You must understand the tax implications of borrowing on your home equity. Interest deductions for tax purposes are based, in part, on what the IRS calls "acquisition indebtedness." In your case, this indebtedness is zero, since your house is free and clear. You will only be entitled to deduct interest on the first $100,000 that you borrow -- whether this money comes from a new first mortgage or a home equity loan. And this may all change if Congress enacts a new tax code. These are difficult -- and clearly personal -- decisions that everyone must consider. Talk to your tax advisors, and "crunch the numbers."